Last week, a South Korean firm delivered a new frigate that had been built for the Thai navy. The expected delivery of the vessel once again highlighted the ongoing defense ties between the two countries, which they have been looking to develop in recent years. Defense ties between South Korea and Thailand are by no means a new development. Indeed, Thailand has been among the key markets pursued by some South Korean companies in recent years, and there have been some deals that have occasionally spotlighted the relationship, with a case in point being Korea Aerospace International’s (KAI’s) provision of T-50 Golden Eagle lead-in fighter trainers for the Royal Thailand Air Force (RTAF) in a deal inked in 2013. That has continued on into 2018 as well, which marks the 60th anniversary of the establishment of formal diplomatic ties between the two nations. When defense ministers from both countries met back in February, both sides discussed how to advance the state of their defense ties, including in the field of defense equipment and defense industry collaboration. One of the tangible ongoing manifestations of defense collaboration has been the construction of multipurpose frigates built by South Korea’s Daewoo Shipbuilding & Marine Engineering Company for the Royal Thai Navy (RTN). A frigate was originally ordered under a $440 million contract between the two sides back in 2013, with an expectation that future ones would be built as well thereafter. The frigate, given the pennant number 471, was launched on order in January 2017. It derives its design from the Kwanggaeto Daewang destroyer in the Republic of Korea Navy, with a length of 122.5 meters, a displacement of 3,650 tons, and an ability to accommodate a crew of up to 136. 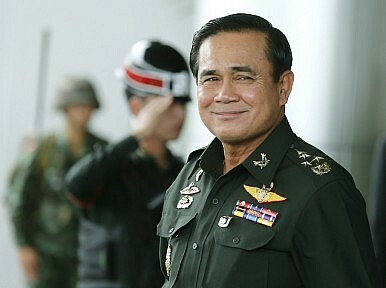 Last week, the deal was in the spotlight again with the handover of the first frigate to Thailand. The vessel, which will be in service as HTMS Tachin (471) once commissioned, was ceremonially handed over to RTN officials on December 14 at DSME’s facilities in Okpo, South Korea. Despite some departure from the original intended delivery timeline, which had earlier been expected in August, the fact that it has been handed over at this time means that the vessel is still on track for commissioning sometime in 2019. The Bangkok Post quoted an anonymous source as saying on December 19 that following the delivery ceremony in South Korea, the ship is expected to arrive in Thailand on January 6, 2019, and that a second new frigate is expected to be assembled in Thailand by navy personnel trained by the Korean shipbuilder. Beyond that, as of now, few details have been publicly released on what will follow from this. For instance, one thing to watch will be how Thailand actually plans on utilizing the vessel, with earlier indications being that the frigate could be useful for a range of purposes, including surface warfare, air combat, and submarine warfare. Another angle will be what this means for the development of the wider South Korea-Thailand defense relationship, given the possibility of a follow-on order as well as the exploration of other defense deals. Various factors will play into this, including project specific considerations such as pricing as well as wider strategic ones like Thailand’s expected election in 2019 and potential implications for the defense side. Given the potential implications for bilateral ties as well as the wider region, this will no doubt continue to be something to watch in the coming months and years.